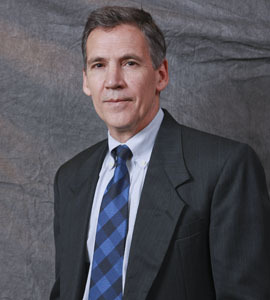 Mr. Tilev concentrates in litigation, focusing on family law matters such as contested divorces and child custody, visitation, and support disputes. He also litigates contract, personal injury, home-improvement, and tree and neighbor disputes. Mr. Tilev also represents individuals and small businesses in immigration proceedings. Mr. Tilev regularly serves as a court-appointed mediator and a court-appointed facilitator. He is a member of the Inns of Court. Mr. Tilev has written articles and sat on panels on family law issues. Mr. Tilev is trained in collaborative law and trained and certified as a mediator. Having extensive experience in the field of family law, Mr. Tilev utilizes his skills as a litigator, mediator, and collaborative professional as appropriate in each case to achieve his clients’ goals quickly and cost-effectively. He is an aggressive litigator when the needs of his clients demand such an approach. Mr. Tilev believes in working closely with each client to develop a clear strategy at the start of their representation so that attorney and client work in tandem to achieve a positive outcome. As a former judge, Mr. Tilev is able to analyze cases from the court’s perspective, which aids in the development of effective legal strategies. Mr. Tilev practices in Maryland, Virginia, and the District of Columbia, which allows him to select the most favorable forum for his clients when the facts of their case allow for a choice of jurisdiction. Mr. Tilev has been practicing law since 1983. His legal career started in Bulgaria where, eventually, he became a Circuit Court Judge. In 1991 he moved to the United States and obtained an advance law degree from the American University, Washington College of Law. He started his own law practice, focusing on litigation and family law, before associating with SPST in 2002.